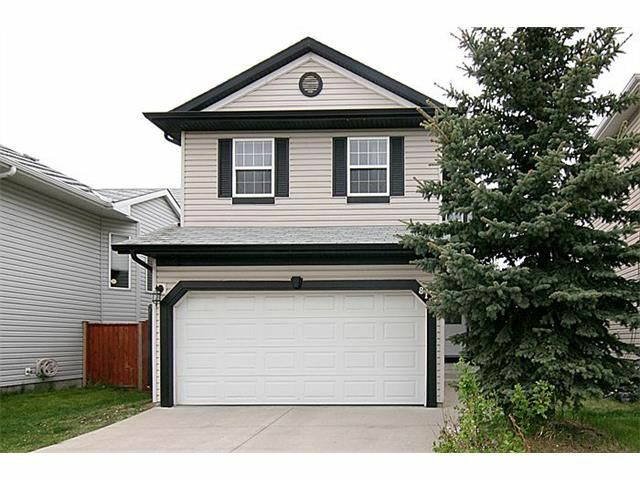 Open House on Sunday May 31, 12:00-14:00 is canceled, conditionally sold. Beautiful two storey three bedroom house with fully finished walkout basement in very desired Coventry Hills community. The house is newly renovated proudly showing freshly painted walls and doors throughout the house, new granite counter tops, new back splash in kitchen and bathrooms, new floors almost everywhere. New carpet in spacious bedrooms, stairs and hallway. Also a double attached garage and the trim outside of the house are freshly painted. A big balcony is great for BBQ. Close to all amenities, schools, stores, and transportation. Don't miss the gem, call for your appointment to view today.